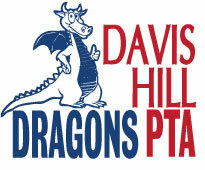 The Davis Hill PTA provides a school directory, free of charge, to all our Davis Hill families. This Directory is provided electronically as well as a printed version. Facilitates data collection and updates through an SSL encrypted website. Increases accuracy because parents are responsible for entering their own data. Allows the ability to “opt-out” of displaying certain contact information. Accessible from your computer or mobile device via a personalized, encrypted username and password. Allows the ability to search by student, teacher, or grade. You will receive an email notification with a direct link to your family/student information. Please review and update any information, including classroom assignments. Be sure to add any new students who may not be listed. Login here the following address to enter your child’s information into our directory.